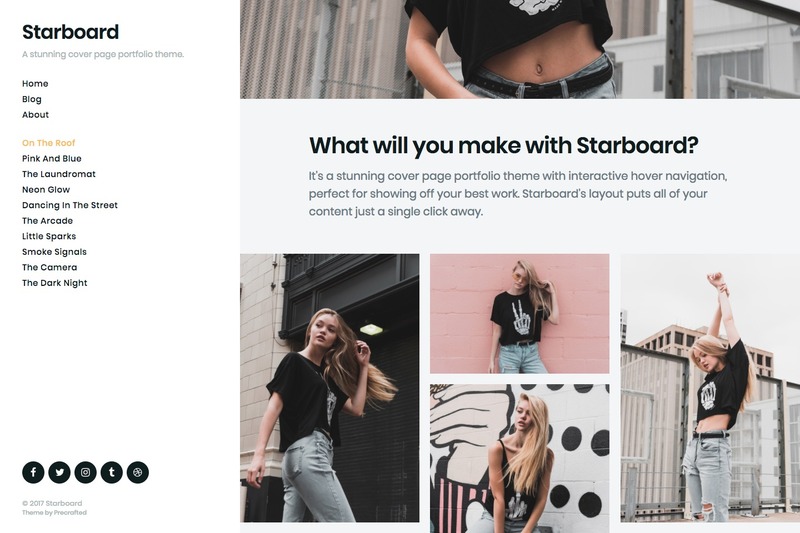 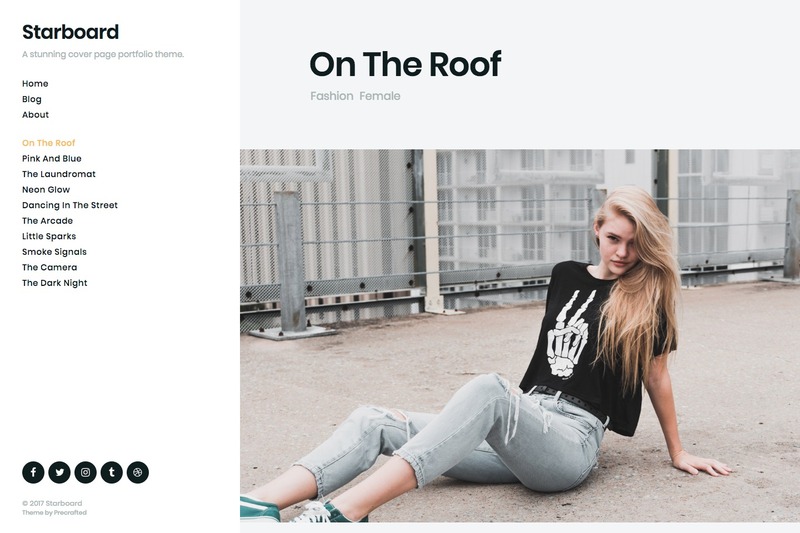 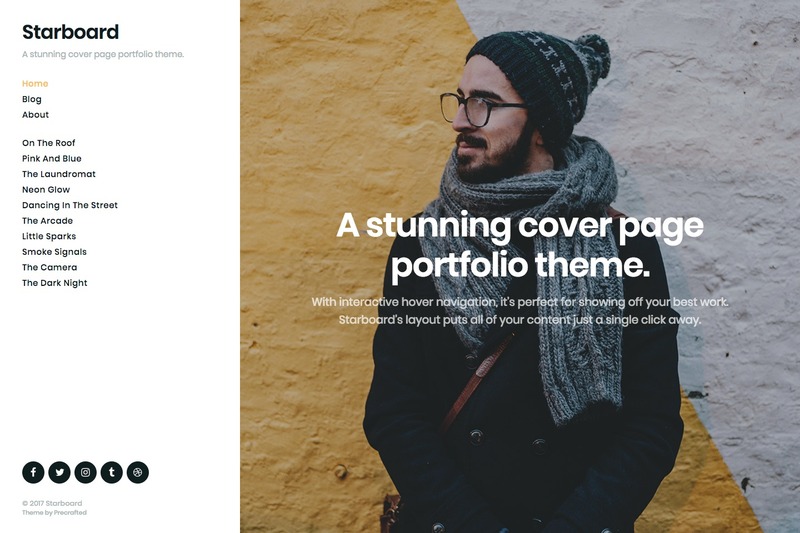 A stunning cover page portfolio theme with interactive hover navigation, perfect for showing off your best work. 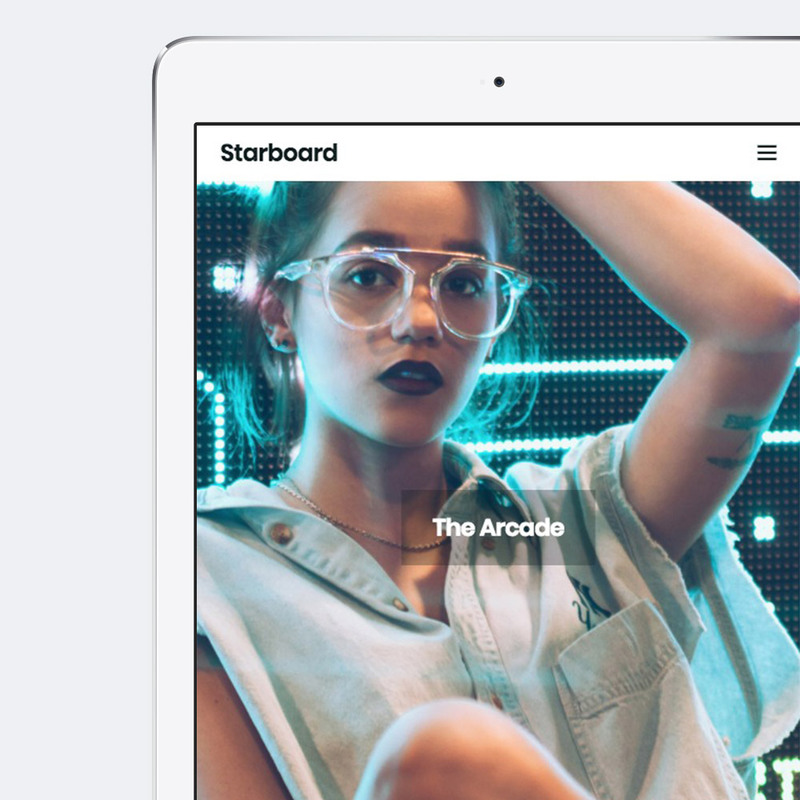 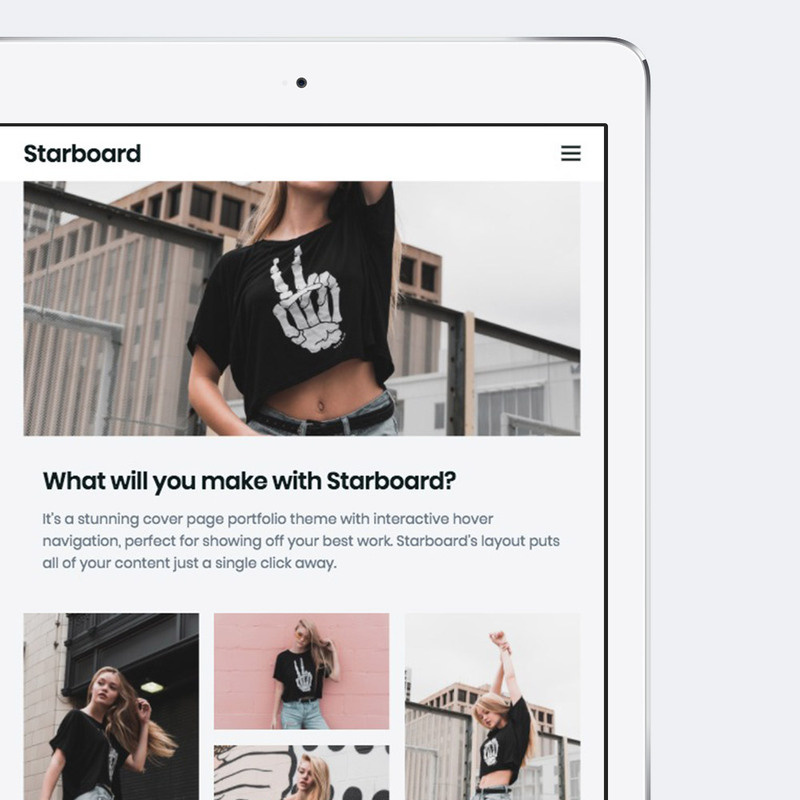 Starboard looks and works great on all devices – we’ve made sure the experience is perfect wherever people are visiting your site. 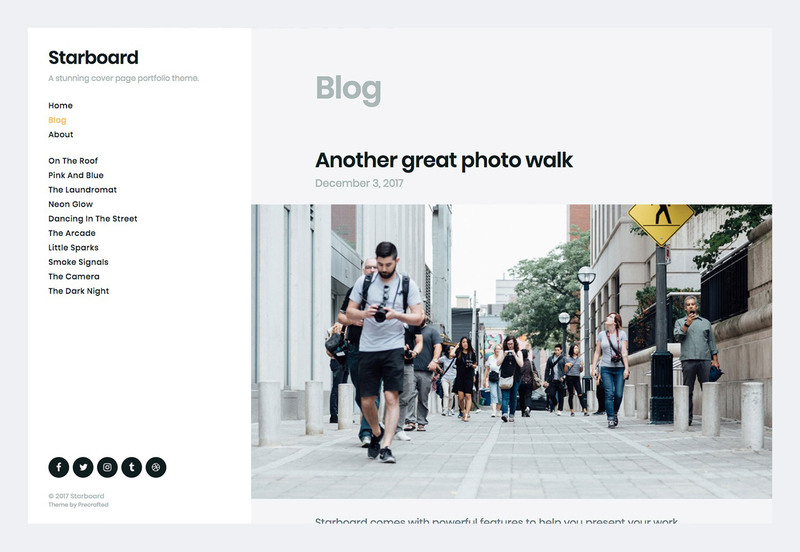 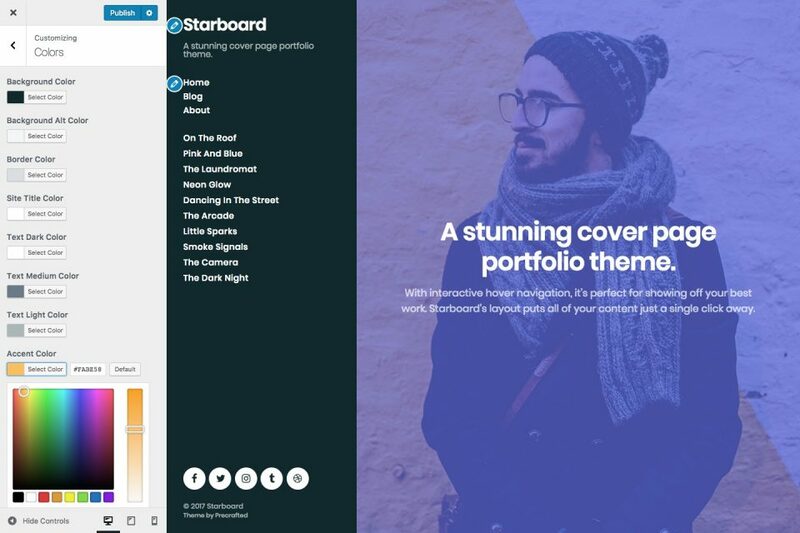 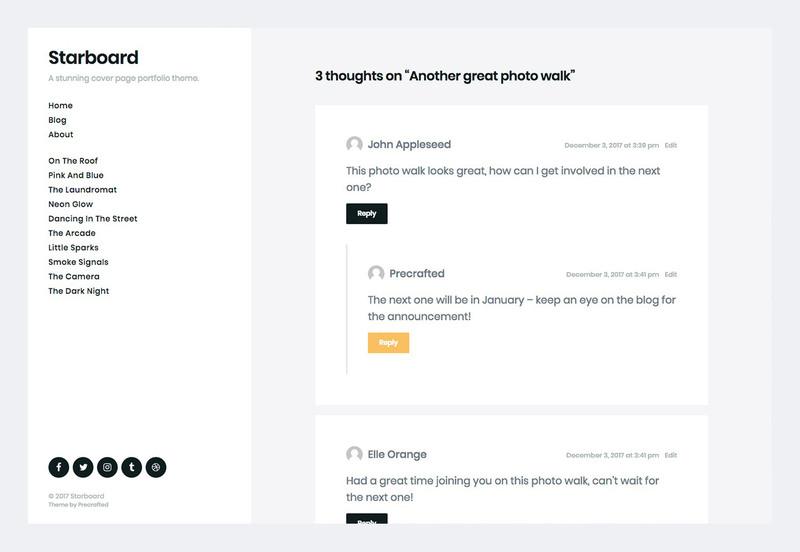 Starboard has a fully featured blog, using the same great full-screen design. 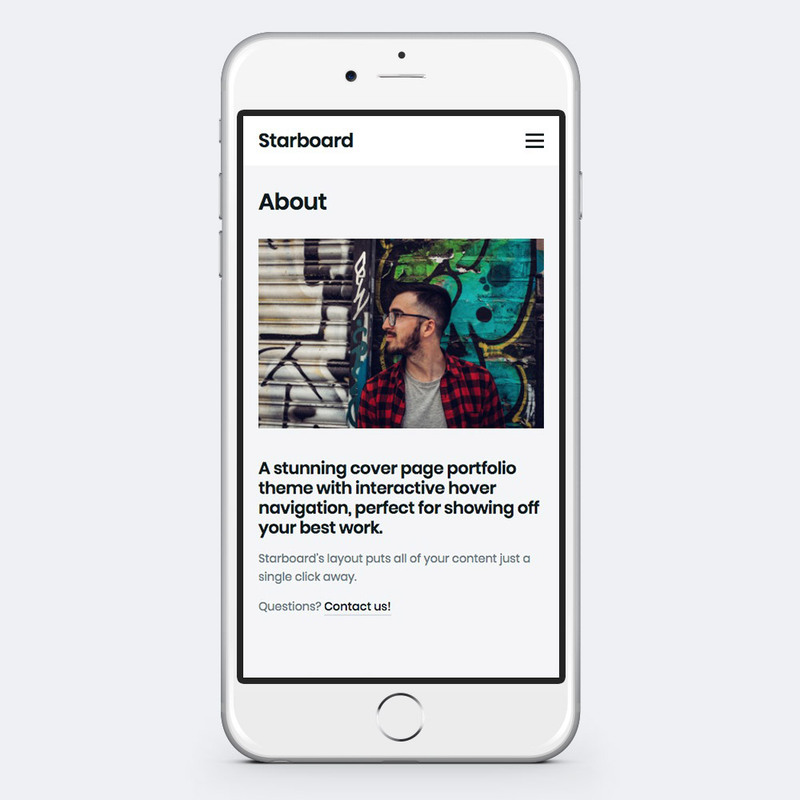 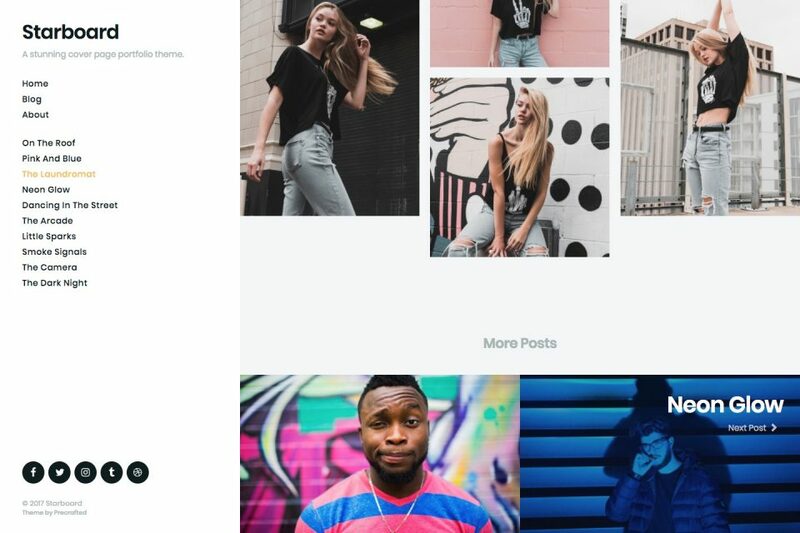 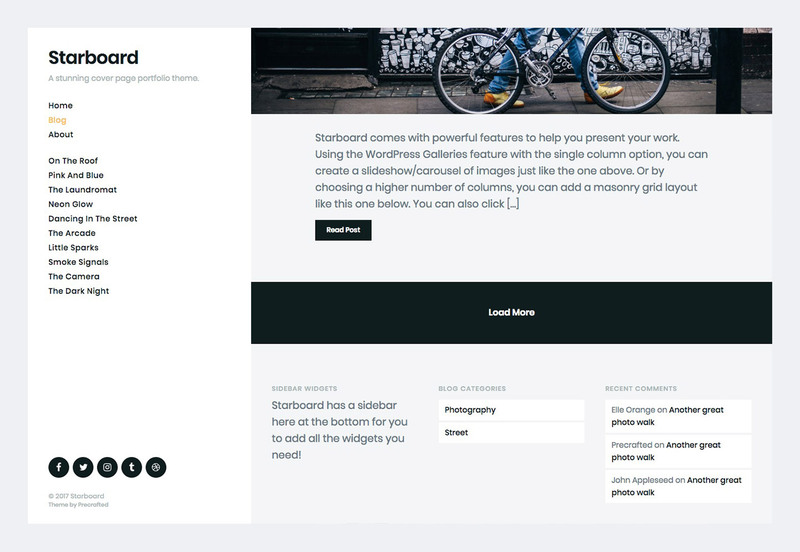 It has all the same features as your portfolio posts, as well as categories, comments and a footer sidebar for your widgets. 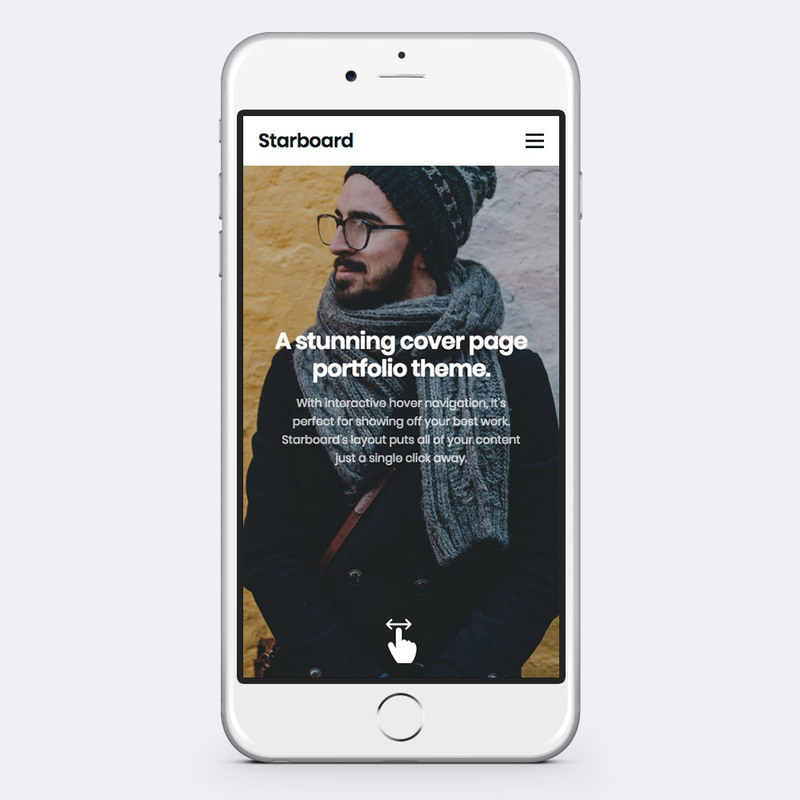 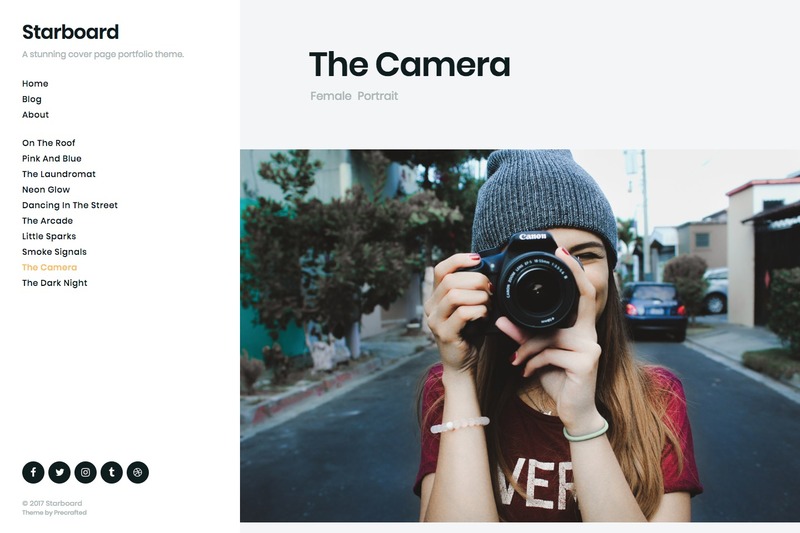 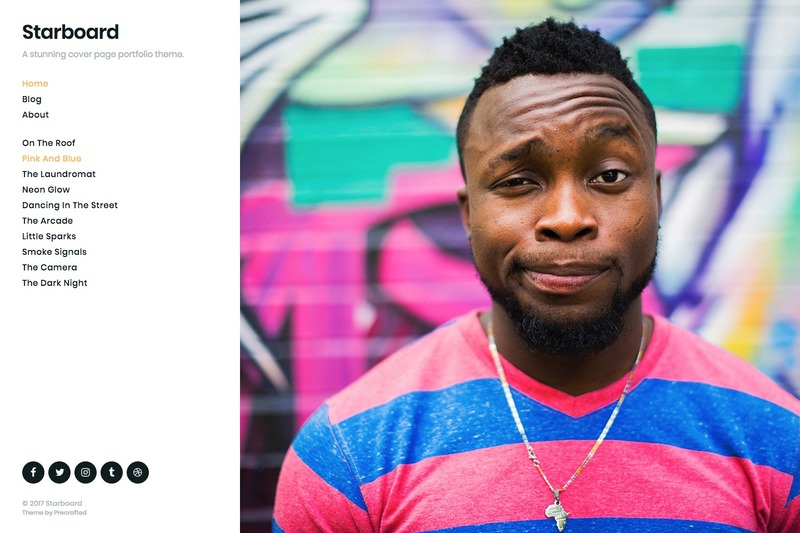 Want to create a stunning portfolio with an interactive cover page?